Primatologist Frans de Waal has made a career out of pounding his head against the rugged wall of human exceptionalism — the belief that humans are the only species that is conscious, self-aware, rational, cooperative, goal-oriented, empathetic, and so on. This wall of calcified grandiosity has resisted change for a long time, and has inspired an abusive relationship with the rest of the family of life. With his new book, Are We Smart Enough to Know How Smart Animals Are?, de Waal has launched a new assault on the cult of exceptionalism. In the 1970s, when de Waal was in college, behavioral psychology was the hot trend. It asserted that animals were mindless, machine-like organisms that did nothing more than robotically respond to stimuli with responses. Animals were incapable of cognition — knowing based on perception and judgment. They could not have desires or intentions. Many scholars remain reluctant to consider the possibility that animals possess various forms of intelligence. Whoops, I meant non-human animals. In our culture, the two categories of fauna are humans and animals (not wombats and non-wombats). In the last 20 years, new research has been inspiring doubt in many long-held beliefs, including the notion that rationality is exclusively human. Yet “animal cognition” is still an obscene four-letter word, a diabolical heresy. Smart scholars wait until they have tenure before they come out of the closet and study it. The illusion of exceptionalism has deep roots. By the time children reach the age of 8 or 10, their worldviews are largely solidified for the rest of their lives. The culture constantly reinforces this worldview, and only a few can summon the power to question it. So, youngsters absorb the worldview, grow up, and raise their children with it, generation after generation. Entrenched belief is immune to conflicting evidence. Humans are extremely proud of our complex language and abstract thought, but these are just two tools in a big box of mental functions used by animals. De Waal believes that some species use forms of intelligence that we are still unaware of — intelligence beyond our imagination. The absolute bottom line for any species is basic survival, and ants and termites excel at this. No animal needs alphabets, numbers, or glowing screens. Irene Pepperberg had a parrot named Alex, who was remarkably capable of advanced cognition. When she pointed at a key, Alex said “key.” He pronounced words precisely. He could add numbers. Alex didn’t just memorize names, he could listen to questions, think, and answer correctly. He was asked, “What color is corn?” when no corn was present. “Yellow,” he replied. Other birds are also extremely smart. “The Clark’s nutcracker, in the fall, stores more than twenty thousand pine nuts, in hundreds of different locations distributed over many square miles; then in winter and spring it manages to recover the majority of them.” Could you do that? Crows, jays, magpies, and ravens are corvids, “a family that has begun to challenge the cognitive supremacy of primates.” One biologist caught and banded many crows, which really pissed them off. They recognized him wherever he went, and they regularly scolded and dive-bombed him. Ayumu the chimp was trained to use a touchscreen. On the screen, a number appeared for a quarter second, then another, in a rapid sequence. Ayumu could remember the sequence of numbers, and then tap them in the correct order. Without practice, he was far better than any human at memory tests — even a memory expert who could remember the sequence of cards in a deck. Harrumph! The supremacists soiled their britches and muttered obscenities. Eventually, a frantic researcher practiced, practiced, and practiced and was finally able to score as well as a chimpanzee. Humans are pathological conformists, abandoning personal preferences when they conflict with the current whims of the majority, whims that are typically manufactured by a slimy mob of marketing shysters. When a celebrity dyes her hair pink, her fans do too. Respectable people must travel everywhere in gas guzzling motorized wheelchairs — bicyclists, bus riders, and walkers are low status slugs. Mindless imitation is the life force of consumer society, and the death force of Earth’s biosphere. Animal intelligence books annoy me. Why do we need scientists to inform us that animals are not robots? Wild people, and others who live close to nature, never doubt the powerful intelligence of deer, ravens, foxes, and weasels. I know outdoor living. I have watched healthy wild animals survive long frigid winters without tools, fire, or clothing — a way of life that would promptly kill me. De Waal’s book jabbers a lot about experiments done in zoos and research centers, on enslaved animals. I’m not a fan of animal imprisonment. I’m a fan of wildness and freedom. The ancestors of chimps and bonobos have lived in the same place for millions of years without trashing it — a demonstration of profound intelligence. Send the researchers to the rainforest, so we can learn from our brilliant relatives, and rigorously question our entrenched beliefs. There is an enormous quirk in this book. The core premise is that humans are a highly intelligent species, and that the other animals are not as dumb as we think. Are ants seriously destabilizing the climate? Are termites acidifying the oceans? Are chimps sending billions of tons of topsoil into the sea? In this discourse on animal intelligence, the fact that human animals are knowingly bludgeoning the planet is never once acknowledged. De Waal says, “Cognition is the mental transformation of sensory input into knowledge about the environment and the successful application of this knowledge.” Cognition is about the process of acquiring and applying knowledge. “Intelligence refers more to the ability to do it successfully.” Among the propeller heads of science, “success” includes the bad juju of overpopulation, overshoot, and overconsumption. My definition of success requires long-term ecological sustainability. 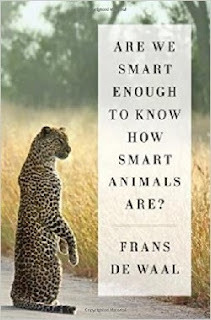 Waal, Frans de, Are We Smart Enough to Know How Smart Animals Are?, W. W. Norton & Company, New York, 2016. My ancestors include tribal people who inhabited the ancient forests of Norway, Wales, and Germany. Bits and pieces of their myths and folkways have managed to survive the passage of centuries. These people lived close to wild nature, and venerated oak trees, salmon, wolves, ravens, mistletoe, thunder, rainbows, and so on. Their cultural heroes were a pantheon of human gods and goddesses who possessed metal weapons, chariots, and domesticated horses. Clearly, these stories were not from the era of hunter-gatherers. Their deities were not all knowing and omnipotent; they could be deceived, or make foolish mistakes. They were mortals who would someday die. Like many triumphant sagas, these heroes eventually became victims of their own success. Prophecies had long predicted the twilight of the gods. Their fatal mistake was fettering the four forces of nature — Surt the giant (volcanoes and earthquakes), the Midgard Serpent (turbulent seas), the Fenris wolf (powerful animal wildness), and Loki the trickster (fire and air). With nature fettered, the world tumbled out of balance. Wolves swallowed the sun and moon. Fimbulwinter brought nonstop snow for three seasons, followed by three seasons of nasty weather. Earthquakes pulverized mountains, and the world was covered with a thick layer of ice. Society plunged into helter-skelter. One day, the four forces of nature broke free, and obliterated the gods at the battle of Ragnarök. Later, a new deity arrived, when the black robes from civilization forcibly penetrated northern Europe. They had just one god. He created the world and all living things. Humans were his masterpiece, made in his image. Our original home was a wilderness paradise, the Garden of Eden. At this point, we had everything we needed — food, water, clean air, a magnificent ecosystem, and a hot date. Like any other healthy wild animal, Adam and Eve were naked and not ashamed. The lad and lass were permitted to eat the fruit of any tree, except one — the tree of the knowledge of good and evil. Like many other animals, they really liked apples. The creator was a peculiar stranger. Imagine telling a wolf not to eat the bunny of good and evil. What does “good” and “evil” mean to naked wild animals? A serpent, another mysterious stranger, highly recommended the forbidden fruit, “…your eyes shall be opened, and ye shall be as gods, knowing good and evil.” They indulged. Suddenly, they were extremely embarrassed about their beautiful animal bodies. The creator gave them some leather clothes, and threw them out of paradise, “to till the ground from whence he was taken.” The punishment for disobeying the creator’s instructions was to be condemned to the drudgery of farming. The creator told Noah to build an ark and load it with wild critters. Then it rained for forty days and forty nights, and the mountains were covered. The flood lasted 150 days. Everything not on the ark died. The creator was happy again. Yet the surviving humans were still flawed critters. He realized this, but took pity on his imperfect boo-boos. “I will not again curse the ground any more for man’s sake; for the imagination of man’s heart is evil from his youth; neither will I again smite any more every thing living, as I have done.” He told Noah’s family to “Be fruitful, and multiply, and replenish the earth.” You and I are their flawed descendants. The Hebrew flood story is similar to the story of the nearby Sumerians. The Sumerian version says that the gods were drunk when they created humans. This is why every human has at least one serious defect. Eventually, the gods could no longer tolerate humankind, because we made too much noise. The gods couldn’t sleep. At this point, Ziusudra (a mortal human) was instructed to build a large barge, gather up specimens of the various animal species, and spare them from the coming floods. There literally were great floods in the ancient Fertile Crescent. Archeologists have discovered a heavy layer of silt in the region, which dates to around 2900 B.C. Because the civilizations converted vast ancient forests into fields, flooding must have been frequent, and sometimes catastrophic. Anyway, the Teutonic, Hebrew, and Sumerian stories describe, in various ways, the notion that humans are flawed. Certainly, in these three cultures, humans did not live in harmony with the family of life, and their stories throbbed with weird vibes. In all three stories, the prime troublemakers (and countless innocent critters) were drowned, setting the stage for world renewal, a beautiful healing. Portions of the Jesus saga offer a more wholesome message. One day, he dropped out and headed for the hills. After being baptized by a wild holy man, Jesus was filled with spirit power. He went to the wilderness, and spent 40 days in the perfection of creation. This experience flooded his heart with profound knowledge. He realized that the civilization around him was insane, and he decided to illuminate his neighbors. Give away your wealth and live a life of unconditional love. Do unto others as you would have them do unto you. 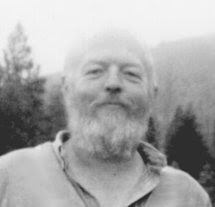 The Jesus movement fragmented into many variants as it spread. In the Roman variant, the patriarchs worked aggressively to eliminate all competitors. They selected an official collection of sacred texts, which was a small subset of the writings generated by the Jesus movement. The banished texts included a number of gospels — the Gospel of Peter, Gospel of the Hebrews, Gospel of the Egyptians, Gospel of James, Gospel of Mattheus, Gospel of Truth, and Gospel of Mary. Look! Paradise is where your feet are standing. This sounds remarkably similar to the mindset of the Pygmies, Anishinabe, Inuit, and other wild folks. Wild cultures don’t tell stories reeking of human supremacy. The creator might be a frog. Humans are among the youngest critters in the family of life, mischievous two-year olds playing with plutonium. We have so much to learn from our older relatives. It’s interesting to contemplate what a wholesome creation story would sound like. Imagine a story where we skipped the toxic apple, remained in the garden, and lived in balance with the family of life, like the deer and ravens. When we inform our offspring that they were flawed before they were born, the result is the world outside your window — a bloody lunatic asylum.